It is our firm belief that responsible companies are obligated to balance their effect on the environment. We do so by measuring our carbon footprint, optimizing our methods and compensating through tree-planting. Together with ZeroMission, we have analyzed our carbon footprint from small and big aspects of our business including production, transports, energy use at the office, packaging and business travels. From this analysis, we have taken several actions to limit our emission of greenhouse gases. We have changed the packaging of our products, we are using wind energy for the office, and we have increased our recycling efforts. We report yearly to ZeroMission. An interview with Edinas Mbanda, a member of the Capona community group in Malawi. 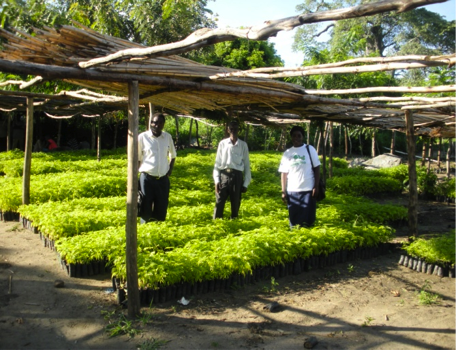 Edinas discusses how reforestation has benefitted the local community, bringing resources and increased soil fertility. But as we unfortunately can’t fully eliminate all our effects on the environment, we have chosen to compensate our emissions by supporting tree planting projects in Malawi, Uganda, and Bolivia. Tree planting is, together with avoided deforestation, the most effective method for carbon offsetting. As trees grow, they bind carbon which is taken from the atmosphere. We are supporting Trees of Hope in Malawi, Trees for Global Benefit in Uganda, and ArBolivia in Uganda. The certificates are listed below and shows our commitment to the sustainability initiative.